The Gambling Commission has expressed concern over allegations that some bookmakers shorten horses to cause or increase a rule 4 deduction and has called for those with evidence of wrongdoing to come forward. The news follows events at Cheltenham on Sunday, when Cockney Wren, who was listed in the betting when already declared a non-runner, was cut to 14-1 before the off, ensuring a deduction of 5p in the pound would be charged. On-course bookmaker Andy Smith of Festival Racing said he had been approached a number of times to shorten up horses who appeared unlikely to run, describing it as "sharp practice". Gambling Commission executive director Tim Miller said: "If there is clear evidence that operators have deliberately shortened odds to invoke rule 4 and consequently reduce payouts, we'd be extremely concerned as it would be contrary to the statutory obligation to ensure gambling is fair. We'd encourage anyone with clear evidence of this to share it with us. "The industry needs to remember that its long-term viability is built on customers having trust that they're being treated fairly. Anything that is, or could be perceived as, unfair risks damaging the reputation of the industry as a whole." The Horseracing Bettors Forum (HBF) has said it had contacted the industry regulator with its concerns about the wider integrity of the betting market. Miller added: "We've engaged recently with the HBF on the issue of rule 4s and other concerns they have relating to betting markets – we believe it is essential that we and the industry listen to groups set up to represent the interests of consumers." Smith's comments did not go down well with a number of his colleagues in the ring, who dismissed them on social media. 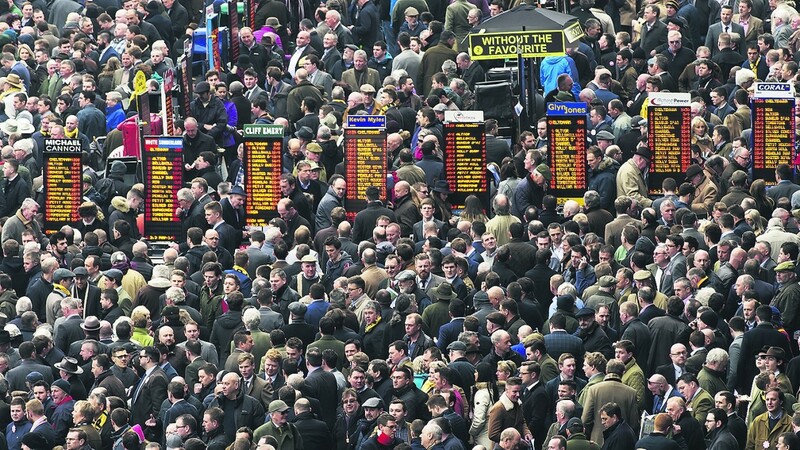 Asked if he had heard of such practices, Federation of Racecourse Bookmakers director Robin Grossmith said: "On the rails where I bet it's not something I have seen and I certainly have never heard bookmakers talk about it, 'shorten this, it will help the rule 4'. "Everybody does their own thing and any collusion would be impossible." Senior Coral odds compiler James Knight described the rule 4 system as "an archaic and flawed mechanism" which worked in the punter's favour rather than the bookmaker's "more often than not". Knight raised a hypothetical example where four or five horses priced at 16-1 or bigger were withdrawn from a race, as could happen in a big-field handicap following a going change, when a bookmaker could lose more than 20 per cent of their overround while backers of other runners were not hit with a rule 4 reduction. He also said the rule 4 system could be inadequate in situations with two short-priced horses in a small-field race, one of which becomes a non-runner resulting in the price of the other being much better after a deduction than its true price should be. Knight said he believed there was a fairer solution to dealing with non-runners, which Coral implement in their online win-only market. "This involves applying the rule 4 deduction equivalent to the exact percentage of the market that the non-runner accounted for when the customer placed their bet, as opposed to when the non-runner came out," he said. "However, punters should be aware that if this system was adopted on the main bookmaker market instead of the current archaic rule 4, they would actually be worse off more often than not compared to the current system. So there is an element of being careful what you wish for."